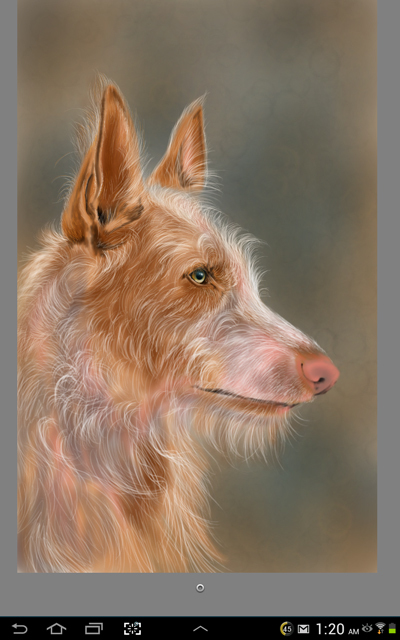 Digital painting of Kadin the Ibizan Hound step by step. 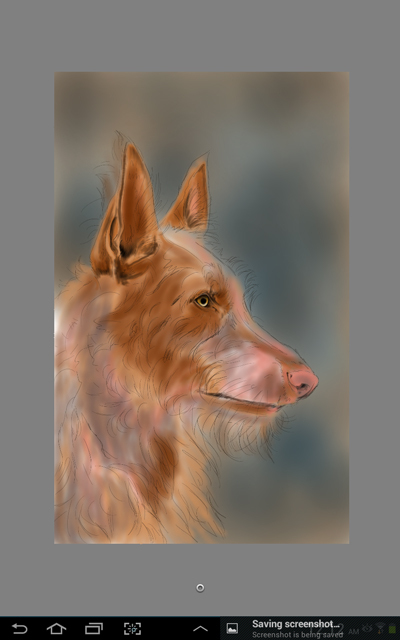 I’ve been playing with digital painting on my Samsung Galaxy Note 10.1 tablet in-between working on my traditionally painted oils. 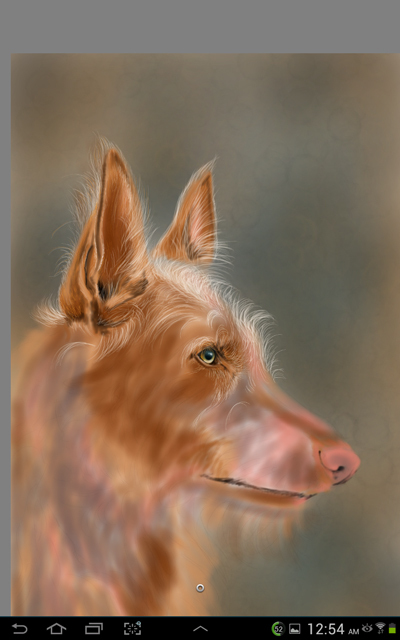 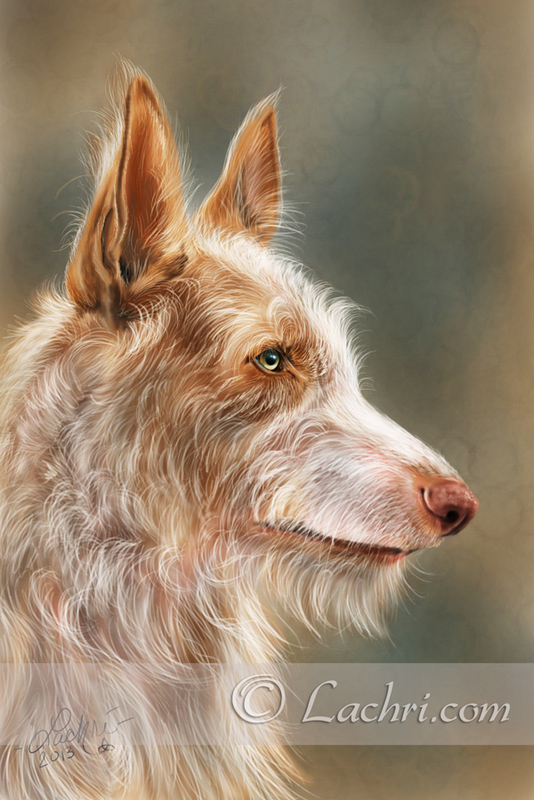 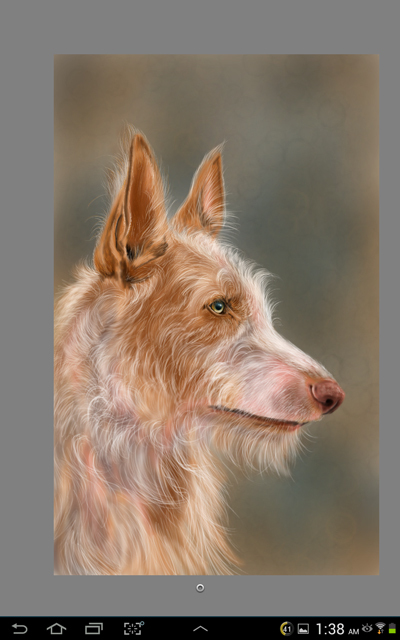 This is “Kadin”, an Ibizan hound in progress using Sketchbook Pro. 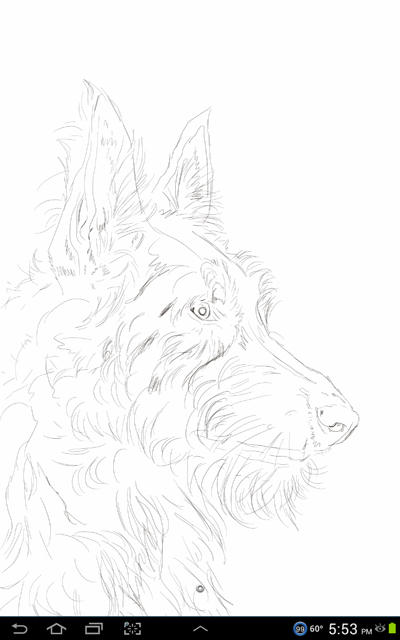 I start with a basic sketch using the pencil brush. 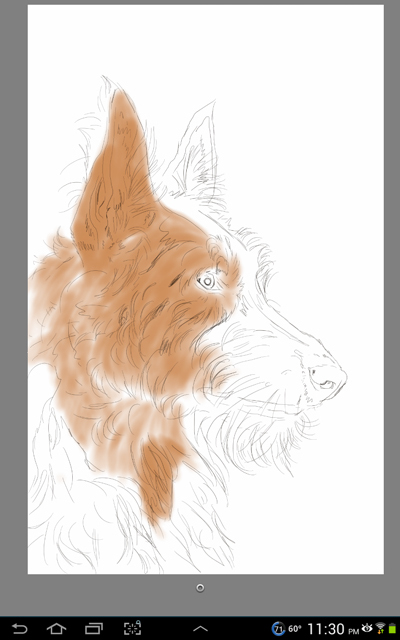 I then make a new layer, drop it behind my sketch so that I can see my outlines, and start shading in the background colors with the airbrush brush. 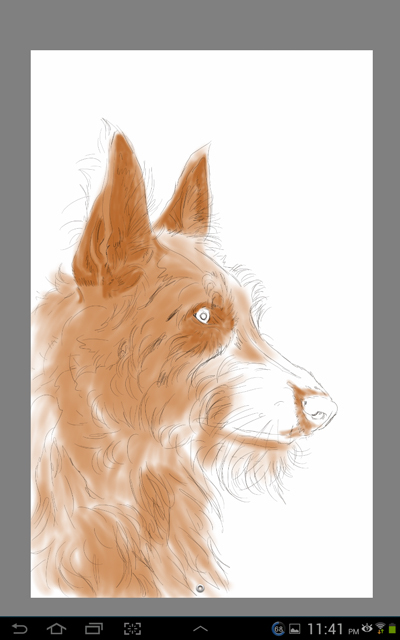 Still on that same second layer, I start building up some of the darker tones and get the base of the eyes. 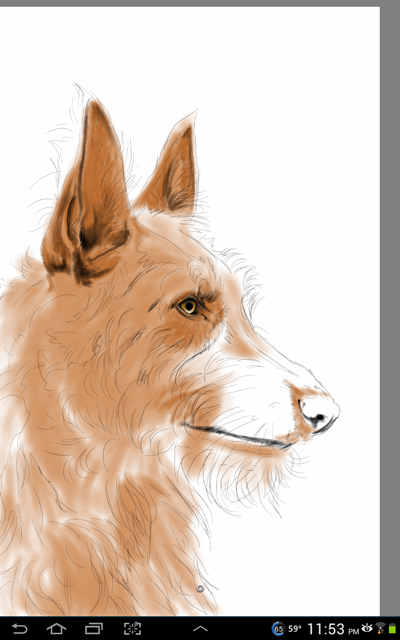 I now add a third layer. 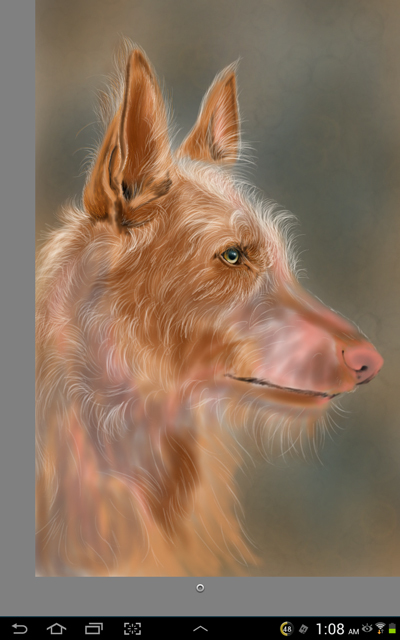 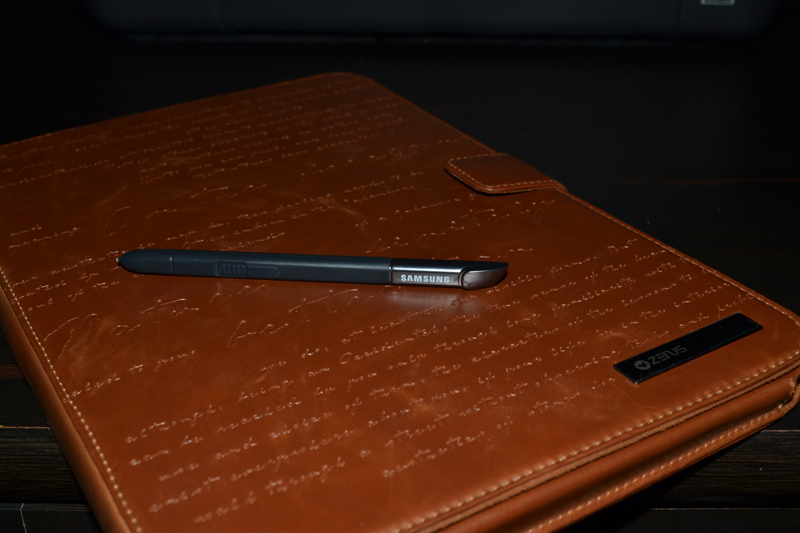 Using the airbrush brush I lay in the darker colors for the background. 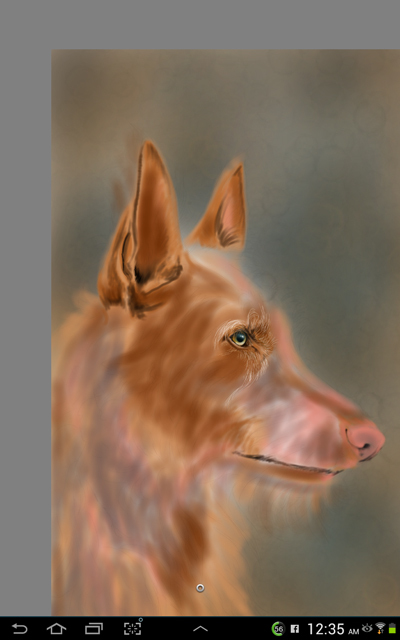 Adding a fourth layer I add a bit of texture into the background. 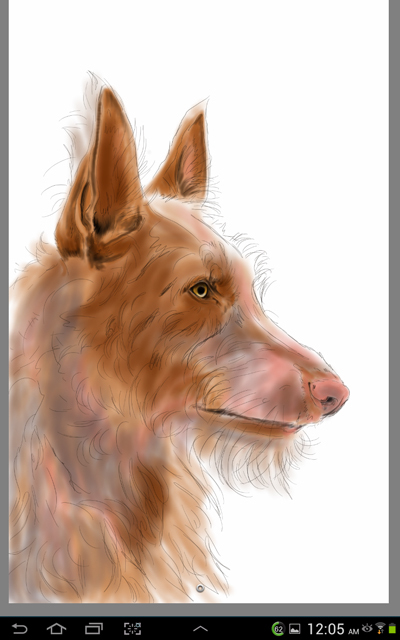 Next I add a fifth layer and bring it to the top to start adding the detail in the fur. 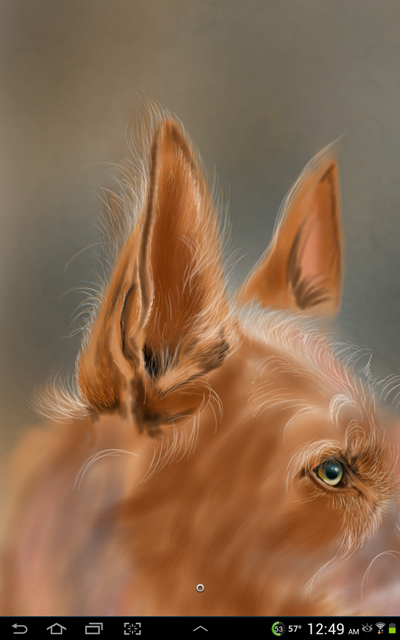 I keep adding more layers of fur, some with the finer pencil brush, some with the airbrush brush.